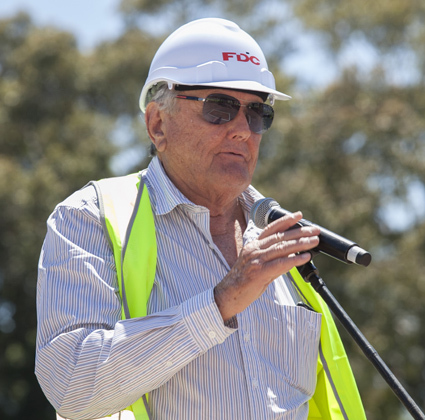 Arthur Laundy has struck dirt in Olympic Park, yesterday celebrating the start of another greenfield build of a brand new four-level local for his home precinct. 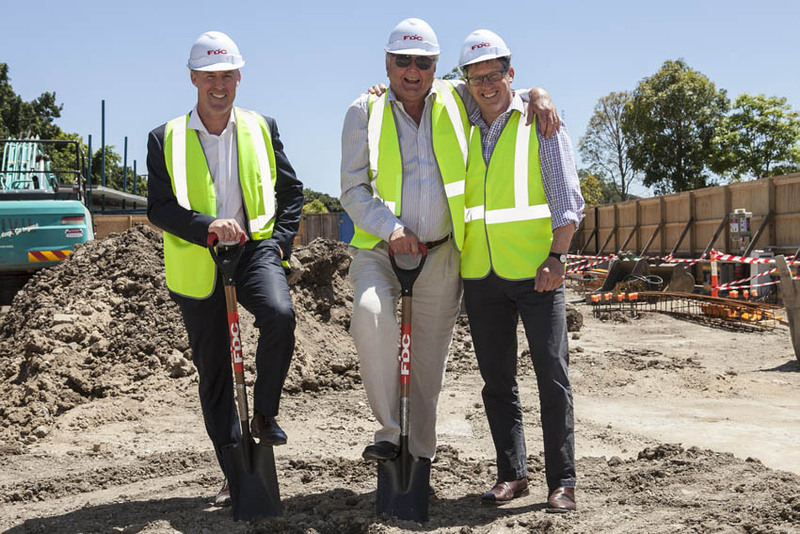 Last month Laundy Group celebrated a ‘topping out’ ceremony at the big Marsden Hotel & Brewery at Marsden Park, with the Mayor of Blacktown Stephen Bali attending the large-scale new build at Sydney Business Park, due to open in March 2019. After decades in the game, this was Laundy’s first greenfield construction, and the result of years of planning, spurred by a lifelong dream to build a brewery*. Now seemingly making up for lost time, the veteran publican has started a second all-new build, in partnership with life-long friends, the Cottle family – with both having spent much of their life a stone’s throw from the new site on Olympic Park Boulevard. The new multi-purpose venue will offer four levels of dining and entertainment over 1380sqm, starting with a modern ground floor bar and outdoor area that connects with the adjacent Cathy Freeman Park. Upper levels will offer quality, contemporary spaces for functions and events. At the top will be an elegant rooftop bar with expansive views. The project is expected to cost north of $14 million, and slated to open toward the end of 2019. The design is by Altis Architecture, with the build by FDC Construction, where the Cottle family’s Ben Cottle is managing director. Laundy Hotels is driving construction, on a site leased for 50 years plus options, in a changing precinct seeing residential influx and an ANZ Stadium with a short future. 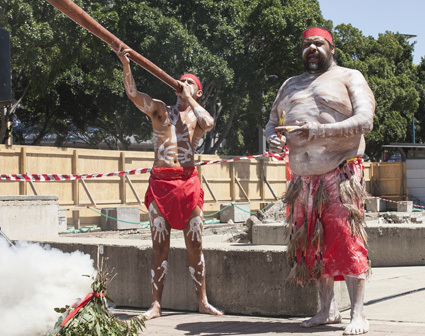 Yesterday guests including Arthur’s son, Liberal MP Craig Laundy, and representatives of Sydney Olympic Park and of the native custodians of the land, gathered at the new site to recognise the project’s beginning. The patriarch cites the ongoing support of long-term assistant Robyn Gumbley, and Craig’s involvement with building works for the group.